“Most humans can tell the difference most of the time, but if they are tired, or stressed, or in a rush, or have any number of other common obstacles to computer use, there’s a good chance they won’t notice the difference, will type their password into the wrong site, and will have their account taken over by bad guys.” Jacob Hoffman-Andrews identifies password managers as the average human’s best defence against phishing attacks. “Our options, he argues, can be divided into three general categories: austerity, stimulus and doing nothing. He, like an increasing number of mainstream economists, believes we can now scratch austerity off the list.” Adam Davidson talks to Adam Posen, until recently a member of the Bank of England’s Monetary Policy Committee, about ways to fix the UK’s economy. “I’m not sure that more than a very small percentage of medical research is ever likely to lead to major improvements in clinical outcomes.” David Freedman reports on John Ioannidis and his quest to improve the quality of medical research. “Sir Ian Blair captured the febrile nature of this climate, giddy on nightmares, when he said that de Menezes was killed in the ‘fog of war’. Given that this fog engulfed those giving the orders, little wonder officers stopped behaving rationally.” Tim Black reflects on what the shooting of Jean Charles de Menezes tells us about the institutions of the British state. 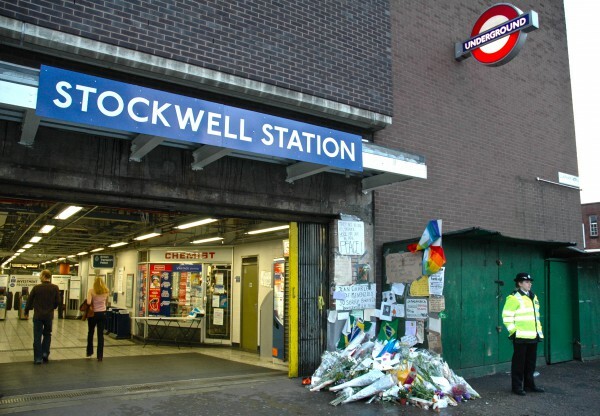 Last week I got caught up in the traffic jam that followed the killing of an innocent man at Stockwell tube station. Today, I passed the same spot again. This time I stopped. Remembering Jean Charles de Menezes one week after he was shot and killed by police at Stockwell tube station in London. What did the ubiquitous CCTV cameras record that morning? Update: Reports are now emerging that Jean Charles de Menezes had already been restrained by an officer when he was shot in the head seven times.